It so happened that I grew up with citrus fruits only in wintertime. So now I associate Christmas with the smell of mandarin oranges and oranges. 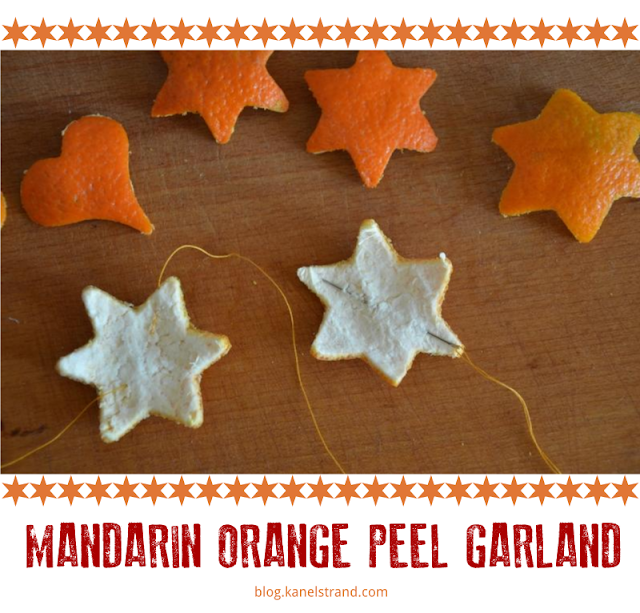 That is why, when I came across Casey's post about making orange peel garlands I quickly experimented with mandarin oranges and made my own garland. Making a mandarin orange peel garland is an easy project appropriate for young kids, so keep that in mind when you start decorating your house and don't forget to involve them! Score the mandarins and then divide in half so that the peel could come off easily. 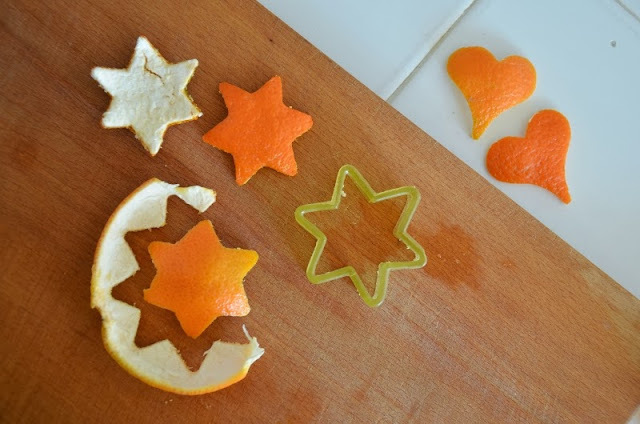 Make sure you place the cookie cutter on the soft inner side of the peel for ease of cutting. 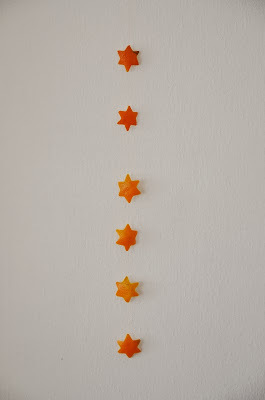 With the cookie cutters I used I made 2 ornaments out of every mandarin orange. 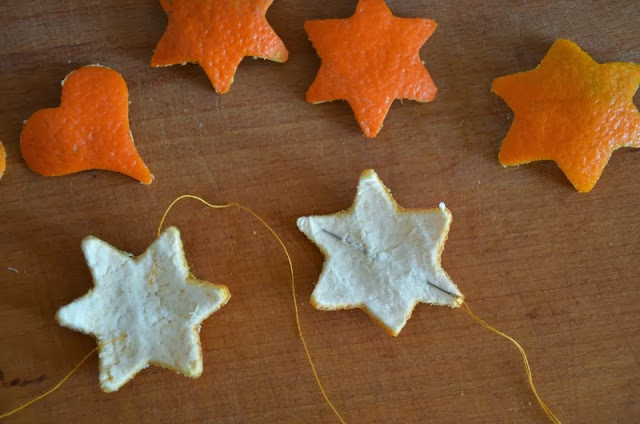 Then, while the ornaments are still soft use a needle and string all of the ornaments together. 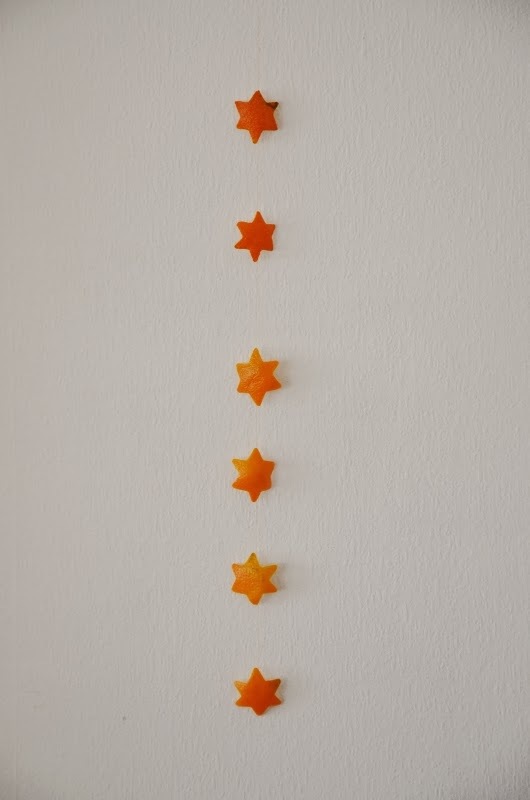 Now is the time to press them with a heavy book for about a day to keep them straight or you can hang the garland as is but then prepare for curly points. The orange color and the magnificent citrus smell will add so much to your holiday.